The Lingfield exemplifies the classic, elegant men's pajama. 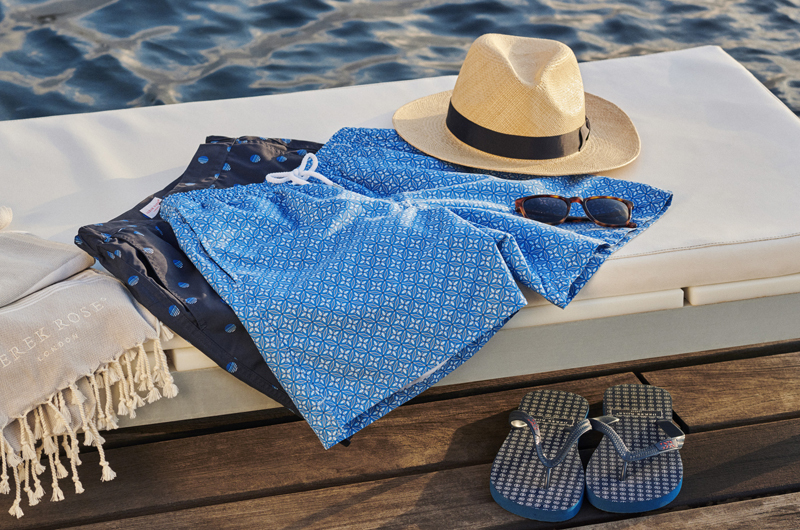 In a pale blue, it looks fantastic paired with one of our navy robes. Part of our classic range of pajama designs, Lingfield has been a mainstay of the collection for many years, and remains one of our most popular designs today, thanks to its elegant appearance. 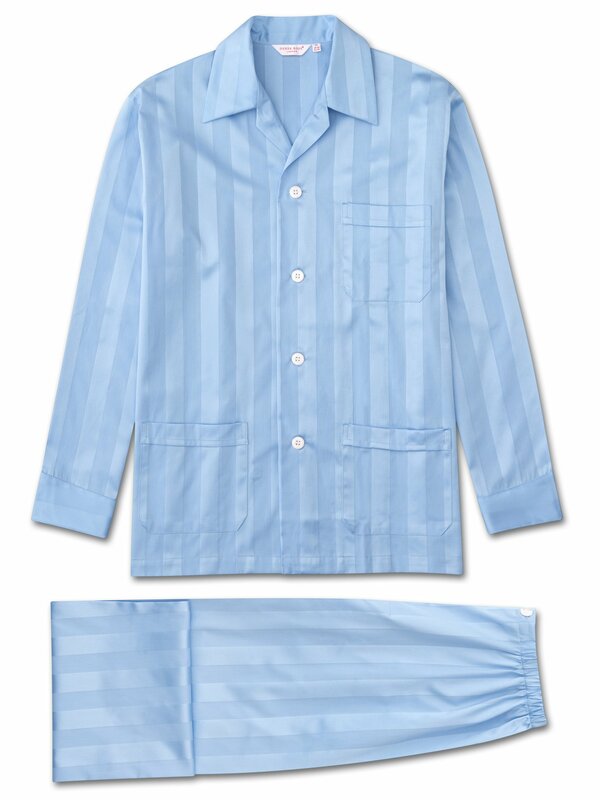 Lingfield is a classic satin stripe pajama, made from cotton with a luxury twofold yarn in the satin. This fabric lasts a long time and retains its colour and shape excellently. Styled (like all our pajamas) for comfort and relaxation, the Lingfield features a three pocket jacket, classic collar and adjustable two-button waistband. Elasticated sides on the pants mean the front and back are flat for your comfort.